The History and Social Science Department strives to provide students with an understanding of past events and the differing viewpoints of those who participated in them. We seek to encourage the development among our students of certain historical skills: intelligent questioning, gathering and interpreting data, analyzing concepts, recognizing the significance of historic occurrences, understanding cause and effect, and synthesizing information to produce one’s own interpretation of the past. As a natural consequence of encouraging the development of these skills, we teach students to express their ideas with clarity and vigor in both class discussion and in their writing. Ultimately, we hope that the study of history will become for them a life-long process and provide them with an awareness of complexity and ambiguity as they confront ethical choices in their own lives and seek to unravel meaning in the worlds around them. Open to Sixth and Fifth Formers. In 1950, liberal critic Lionel Trilling proclaimed that “Liberalism is not only the dominant but even the sole intellectual tradition,” for “the plain fact that nowadays there are no conservative or reactionary ideas in general circulation.” The nascent ideas that were maturing even before Trilling’s bold statement have grown and spread over the last 70 years, firmly planting Conservatism as one of America’s dominant political traditions. This course will examine the Conservative intellectual movement in America since World War II, focusing on the ideas and intellectuals that have created, accelerated, or described the rising revolt against liberalism. The key goal of the course will be to define American conservatism. Is it an ideology or a tradition? Are conservatives necessarily reactionary, or on the Right? What is the relationship between conservatism and the Republican party? Can one big tent contain libertarians, traditionalists, Rockefeller Republicans, arch-reactionaries, neocons, paleocons, and crunchy cons? We will answer these questions and more through primary sources written between 1945 and today that furthered the Conservative dialogue. We will start with authors such as William F. Buckley and Russell Kirk and end with current commentators like Ross Douthat and Jonah Goldberg. The story will hang together with the help of George Nash’s The Conservative Intellectual Movement in America Since 1945, which will serve as a textbook and reference work for most of the course. Open to Sixth and Fifth Formers. This course examines the role of the Constitution and the Supreme Court in American life with respect to the equal protection of the laws. The focus of the Winter Term will be on the Supreme Court’s interpretation of the 14th Amendment’s “equal protection” clause, examining the scope and meaning of the Court’s adjudication in this area. Most of our inquiry will look at the Court’s work in this area since the Second World War with respect to race, ethnic origin and gender. We begin with a brief examination of the meaning and scope of the equal protection clause in the early decades following the ratification of the 14th Amendment, its evolution in the 1930’s and 40’s, and its dramatic expansion in the 1950’s with the Brown v. Board of Education decisions. The class traces the Court’s equal protection jurisprudence across the landscape of racial segregation, gender discrimination and ethnic classifications. This includes an array of issues that define equal protection interpretation in recent decades, including school desegregation, busing, voting rights, employment discrimination, and affirmative action. The texts of this class include Peter Irons, The Courage of Their Convictions and a book of supplementary readings that includes excerpts from relevant monographs, briefs, opinions, and documents related to the syllabus. Students are expected to possess a survey knowledge of American History, an ability to exploit resources in the library and on-line and an ability to write a clear, fairly sophisticated analytical essay. In addition, students are expected to contribute their thoughts, ideas, critiques and perspectives to class discussion as a means of developing their own analytical framework towards interpreting the Constitution. By the end of the term it is expected that they will be more purposeful and persuasive in their ability to engage in textual analysis of legal briefs and opinions, summarize and assess historical/constitutional concepts and themes, make historical/juridical connections and recognize that the Court’s work is best understood as an interrelated thematic whole. At the end of term, students usually conduct a public mock court simulation of a recent Court decision dealing with the equal protection clause, which includes written briefs, an oral argument, and written opinions. It is hoped that the mock court will serve as a capstone experience in displaying a mastery of these skills. Open to Sixth and Fifth Formers. Understanding economic forces is vital to any good analysis of history or current events. This course will introduce the student to the American economy, including: the basic laws of supply and demand at the marketplace; how an economy is measured and evaluated; the problems of unemployment and inflation; and how Congress, the President, or the Federal Reserve might try to correct any problems in the economy. The student will also learn how the US interacts with its neighbors through trade and finance. If time permits, the class will examine how economies develop over time, and what forces—such as population pressures or political conflicts—may affect the course of their growth. Economics is a discipline that requires students to be proficient in mathematics and be comfortable with quantitative concepts such as graphs and algebraic equations. A grade of B or higher in Algebra II is highly recommended. This course is reading-intensive, and all students are expected to enter the course with a thorough grounding in the foundation skills for historical study taught in World History. Open to Sixth and Fifth Formers. John Locke, Thomas Hobbes, and Jean-Jacques Rousseau each had his own beliefs about the relationship between citizens and the state. After considering these philosophical departure points, this course will explore different types of linkages between the citizenry and the state—including elections and media as well as political parties. Comparisons will be made among the U.S., U.K., Mexico, Nigeria, Russia, China, and Iran. Students will consider each nation’s society and citizenry, its political behavior, and the impact of culture on campaigns and elections, paying special attention to the current U.S. election cycle. As well as a comparative politics textbook, students will deepen their understanding of each case study with careful consideration of recent news coverage in the U.S. and abroad. (With some additional exam preparation and reading, students who take the first two terms of Power and Politics could take the AP Comparative Government exam.) The text for the course is Shanto Iyengar’s Media Politics (3rd edition). Open to Sixth and Fifth Formers. Using a range of readings and sources, this course will examine “identity” politics concerning race, gender, and ethnicity. Students will explore the meaning of various labels as well as their own sense of identity before a detailed introduction to social science methodology—including a research design project investigating concerns on campus and beyond. For the second half of the course, the main topics will be issues of identity politics in the U.S. (including race and housing, gender and elections, and ethnicity and media coverage) as well as current academic work concerning similar issues in other parts of the world, especially several African countries. Course materials and readings will cover an intersection of sociology, political science, gender studies, and history. Open to Sixth and Fifth Formers. This course examines the nature of racism and genocide by exploring in detail the history of anti-Semitism and the Holocaust and of the Atlantic Slave Trade and slavery in North America. Students will also conduct independent research on other episodes of genocide and ethnic conflict in places such as Cambodia and Rwanda. Readings will be primary sources including, Frederick Douglass, Narrative of the Life of Frederick Douglass, a Slave, Olaudah Equiano, The Interesting Narrative and Life of Olaudah Equiano, or Gustavas Vassa, the African, Primo Levi, Survival in Auschwitz, and Elie Wiesel, Night. Students are expected to be able to conduct research independently and engage classmates in spirited but respectful and effective discussion and debate. Students should be able to write well-organized and comprehensive essays that reflect an understanding of the topics and an appreciation for the relevance of the material. Open to Sixth and Fifth Formers. This course may be taken separately or in conjunction with the full year exploration of America’s “Empire of Liberty” from the Philippines to Iraq. While it was founding father Thomas Jefferson who called for American expansionism to convert “dangerous enemies into valuable friends,” it was not until the twentieth century that presidents McKinley, Johnson, and both Bushes took this mission overseas in wars of choice in the Philippines, Vietnam, and Iraq. This series of electives examines the expansion of American military, political, and economic power into Asia and its effects on the home front in the United States. After World War I, the West played an important role in the creation of Iraq as a multinational state under Sunni minority leadership, but it later jilted that leadership in the name of democracy. The United States was involved—either directly or indirectly—in three different conflicts in Iraq in the past forty years: the Iran-Iraq War, Operation Desert Storm, and Operation Iraqi Freedom. While only the last two were commanded and fought by American military, neither would have happened had the United States not supported Saddam Hussein’s regime in the first. This course will examine these wars in terms of: their successes, their failures, and their effects both on the stability of the Middle East and the American body politic. The war in Afghanistan may be used as a compliment and contrast to the study of Iraq. Completion of the US History requirement is strongly recommended, but not required. Participation is particularly important in this course, and so students should be ready to engage regularly in spirited but civil class discussions. Required texts may include Overthrow (Kinzer), The Contemporary Middle East: A Westview Reader (Yambert, ed. ), and others. One of the least studied of America’s recent conflicts, the conquest of the Philippines was actually a foreboding sign of what was to come. This war changed the size, nature, and readiness of the U.S. military. It was America’s first foreign counterinsurgency, our first battle against Islamic militias, and our first exposure to suicide brigades of religious fanatics, both Christian and Muslim. This course will examine the causes of this conflict in the Spanish-American War, the decision to purchase and colonize the Philippines, the methods used to pacify the population, specific campaigns in the southern islands, and the development of colonial policy. Of particular interest to our study is the relative success in creating a colonial bond that would endure through World War II, when Americans and Filipinos worked side by side against the Japanese. Was this success a fluke, or should the lessons of the Philippines have been better heeded in the wars afterward? Completion of the US History requirement is strongly recommended, but not required. Participation is particularly important in this course, and so students should be ready to engage regularly in spirited but civil class discussions. Required texts may include Overthrow (Kinzer), primary sources, and other materials. The winter term will examine the controversial American war in Vietnam from the point of view of both cultures, focusing on why it divided their populations and how it changed the political landscape of both countries. It will study the causes of conflict during and after World War II, the path towards US involvement in Vietnam, crucial turning points in the conflict such as the Tet Offensive and the My Lai Massacre, and the impact of the war on American society. The class will place special emphasis on the experience of soldiers on the ground using visiting veterans, autobiographical sources, and selected works from the body of fiction written about the war (such as The Things They Carried, A Rumor of War, Bloods, and A Viet Cong Memoir). Completion of the US History requirement is strongly recommended, but not required. Participation is particularly important in this course, and so students should be ready to engage regularly in spirited but civil class discussions. Required texts may include Overthrow (Kinzer), The Vietnam Reader (O’Nan, ed. ), The Tunnels of Cu Chi (Mangold and Penycate), and others. Open to Fifth and Sixth Formers. This course will focus on the demise of the Soviet Union and its empire as well as the transition to democracy and capitalism after 1991. It will look at the problems within the Soviet state as well as the Eastern European Revolutions of 1989. Finally, students will study recent developments within Russia under Boris Yeltsin and then Vladimir Putin. In addition to historical texts and scholarly articles, this course will make use of the Cold War International History Project and CNN’s excellent documentary series to help students develop a thorough understanding of the period. Potential texts/sources: CNN’s “Cold War”; CWIHP; Stephen Kotkin, Armageddon Averted; Timothy Garton Ash, The Magic Lantern; Masha Gessen, The Man Without a Face. Open to VI and V Formers. This course examines major issues in international relations today such as terrorism and the proliferation of weapons of mass destruction, globalization and the growth of transnational agencies and economies, and the preponderance of failing States as a result of the spread of ethnic and religious intolerance. Specific geographical regions of conflict such as the Korean Peninsula or the Balkans may also be investigated. The starting point for the course is a look at differing theories of International Relations by important thinkers such as Von Clauswitz, Kenneth Waltz, and Samuel Huntington as well as an examination of how American foreign policy is made. Students then conduct extensive research to prepare for role-plays and debates on the current aforementioned issues. In addition students play the board game, Diplomacy, a simulation of international relations. Most readings are articles from Foreign Affairs magazine, and the rest come from other periodicals such as Current History, The National Interest, Foreign Policy (The Carnegie Endowment for International Peace), and The Foreign Policy Association's Great Decisions series. 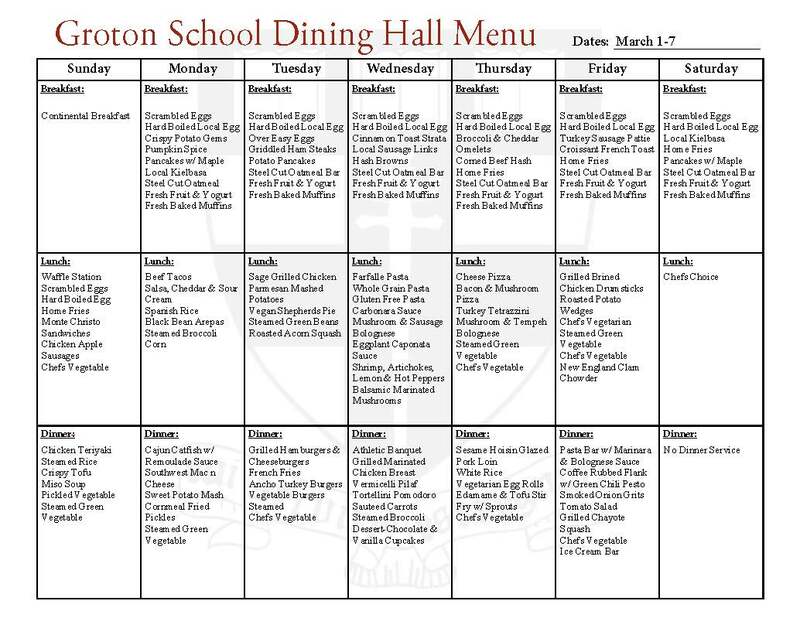 A regularly updated Groton School web site helps students to access sites such as the United Nations, The U.S. State Department, and non-governmental organizations such as Amnesty International, as well as various universities, think tanks, and private foundations. Open to Sixth and Fifth Formers. This course examines Chinese History since approximately 1600. An important theme is the ongoing struggle between traditional Chinese social and political culture and the forces of change, and a particular focus is China's response to the West during the 19th and early 20th centuries and the impact of Communist rule. The main texts are J.D. Spence, The Search For Modern China, A Documentary Collection, and Jung Chang, Wild Swans, and supplementary readings include excerpts from P.B. Ebrey, Chinese Civilization, A Sourcebook [documents collection], J.K. Fairbank, The Great Chinese Revolution, 1800-1985, E. Snow, Red Star Over China, Nien Cheng, Life and Death in Shanghai, and Yuan-tsung Chen, The Dragon's Village. Students are also expected to read newspapers or magazines in order to keep abreast of unfolding events in China. Open to Sixth and Fifth Formers. Limited to 13 students. This course examines the recent history of India, the world's most populous democracy and an emerging global power in one of the world's most volatile and important regions. The course covers Indian history since 1707, the date that most Indians consider the beginning of modern India. The course starts with an examination of three important events of since the turn of the century, each of which illustrate the link between the present and the past. The next unit takes us back to the arrival of Europeans during the 17th century, the twilight of the Mughal Empire, the establishment of the “British Raj” in 1857, and the rise of the Indian Independence movement. The third unit looks at post-Independence India and the struggle to create a nation. The final unit examines India today, with a focus on the dramatic changes that have occurred since 1991. A particular theme of the course is the push and pull of Indian tradition in the face of European colonization and modernization. The main text is A Concise History of Modern India, 3rd ed., by Barbara D. Metcalf and Thomas R. Metcalf, and supplementary readings are from Sources of Indian Tradition, Volume 2, by Stephen Hay, ed., From Plassey to Partition: A History of Modern India, by Sekhar Bandyopadhyay, India After Gandhi, Ramachandra Guha, India and Pakistan: The First Fifty Years, by Selig Harrison, ed., In Spite of The Gods: The Rise of Modern India, by Edward Luce, and India: From Midnight to the Millennium and Beyond by Shashi Tharoor. Students are also expected keep abreast of unfolding events in India and South Asia through various news media. Although the Wounded Knee Massacre of 1890 is often seen as the end of the American Indian story in the US narrative of US History, it should instead be understood as the end of one chapter and the beginning of another. Military conflict between the United States and American Indians had largely concluded by 1890, but Indians’ struggle in legal, cultural, and at times physical terms was far from over. American Indian history in the 20th century illuminates the unique position of tribes within American society and law as “domestic dependent nations,” as well as the ongoing tension between assimilation and cultural preservation. Through a combination of primary and secondary sources, fiction, and film, this course examines various episodes and problems throughout the twentieth century, including the founding and operation of the Carlisle School in Pennsylvania, the American Indian Movement of the 1960s and 1970s, and contemporary issues in reservation life. Open to Sixth and Fifth Formers. Both Aristotle and Plato contemplated the role of government and how political order should best be constructed. After considering these thinkers as a theoretical basis, the course will provide students with an understanding of the diversity in world political systems, as well as an introduction to the frameworks political scientists use to compare those systems. Students will explore the historical origins and intents of the institutions in the U.S. Constitution, the United Kingdom’s parliamentary system, and the European Union before considering further case studies and comparisons with the current government structures of Russia, China, Mexico, Nigeria, and Iran. In addition to a comparative politics textbook, this course will include excerpts from political theorists and philosophers, as well as article-length work by modern political scientists and current events coverage in both domestic and foreign media outlets. (With some additional exam preparation and reading, students who take the first two terms of Power and Politics could take the AP Comparative Government exam.) The text for the course is Mark Kesselman’s Introduction to Comparative Politics (7th edition). Open to Fifth and Sixth Formers. This course will focus on the Cold War through the lens of Soviet ideology and foreign policy. Particular emphasis will be placed on the global impact of the rivalry between the United States and the Soviet Union and the role it played in various regions, including: Asia, the Middle East, Africa, and Latin America. In addition to historical texts and scholarly articles, this course will make use of the Cold War International History Project and CNN’s excellent documentary series to help students develop a thorough understanding of the period. Potential texts/sources: CNN’s “Cold War”; CWIHP; Odd Arne Westad, The Global Cold War; Vladislav Zubok, Failed Empire. Open to Sixth and Fifth Formers. This course will examine the Russian Revolution from the creation of the Bolsheviks through Joseph Stalin’s consolidation of power and subsequent purges. In particular, it will focus on Vladimir Lenin’s role in shaping the communist movement, the February and October Revolutions of 1917, the Civil War, and the struggle for power following Lenin’s death. From that point, the course will study Stalin’s Five Year Plans and his use of terror throughout the 1930s. In addition to historical texts, primary documents, and scholarly articles, personal memoir and foreign film will help students develop a thorough understanding of the period. Potential texts/sources: Sheila Fitzpatrick, The Russian Revolution; Ginsburg’s Journey into the Whirlwind; Burnt by the Sun. Open to Sixth and Fifth Formers who have completed The World and the West and required of all students in the Upper School, United States History is a survey course that begins with the Colonial Period and continues through the post-War era. While recognizing the many different cultures that have contributed to the American experience, this course emphasizes the values we all share in common: democratic participation in government, freedom of expression and basic civil liberties, the rule of law, and the relationship between liberty and equality. In addition, students also explore the changing role the United States has played in the world. U.S. History assumes that upon arrival to the course, students will have a thorough grounding in the foundation skills for historical inquiry taught in Sacred Texts and The World and the West, including the experience of having written a major research paper. During the year, students will continue to develop as analytical writers, critical readers while enhancing their understanding that our history may be interpreted in many and varied ways. Though this course is not designed to prepare students for the Advanced Placement Examination in U.S. History, they are welcome to take the exam if they wish. Open to Fifth and Fourth Formers and required of all students in the Upper School. World and the West is a year-long course that carries the human story forward from the year 1000 to present. The course recognizes the central role played by Europe in the development of our own way of life, as well as the need for today's students to have a better understanding of non-Western cultures. Because of the broad time span it covers, World and the West fills an important role in the larger school curriculum by enabling students to place knowledge acquired in other courses in its proper chronological context. Students entering The World and the West should be able to write a five-paragraph essay with effective thesis and topic sentences. They should be able to take notes and organize information on their own when preparing for both objective and essay tests. They should have an enhanced capacity for abstract reasoning beyond that expected in the Lower School. Among the many skills taught in World and the West are: an understanding of point of view and the ability to make judgments concerning relative reliability when using primary sources, the ability to use these primary sources in document-based essay questions, the ability to handle multiple-choice questions of a type generally used on standardized national exams, and the ability to engage in spirited but civil class discussions. As they continue to hone their critical thinking and essay writing skills, students will also undertake two research papers sometime during the year. Their instructors lead them through all phases of the process including: identifying an appropriate historical question as a topic, orientation to the library, finding and discriminating among printed sources (whether accessed in person or online), developing an argument based upon this research, understanding of what plagiarism is and how it can be avoided, and formatting proper footnotes and a bibliography according to the University of Chicago style. Though this course is not designed to prepare students for the Advanced Placement Examination or the SAT Subject Test in either World History or European History, they are welcome to take either exam if they wish. They will need to do substantial extra reading during school vacations in advance of the exam. Jennifer Wallace teaches comparative religion and world history, with a special focus on Southeast Asia and the Middle East. She holds both a BS and MS from Georgetown University’s School of Foreign Service, and, prior to Groton, lived and taught in Beirut, Lebanon; Manila, Philippines; and Chiang Mai, Thailand. She was awarded the Henry and Wendy Breck Award for Teaching Excellence in 2005, and the Jonathan Choate Award for Excellence in Teaching and Coaching in 2014. Jen coaches football and running, ran an Upper School girls’ dormitory for six years, and is now a brownie-toting affiliate in the Third Form. In her free time, Jen enjoys writing, running marathons, and rooting for her hometown team, the Ohio State Buckeyes. Originally from China, Renee holds a B.A. in economics from Gordon College in Massachusetts. She worked in asset management as a Chartered Financial Analyst (CFA®) charterholder before joining the Groton faculty in 2015. Renee teaches Chinese as well as economics, and works with the Stagecraft crew in theater. She also serves as a dorm affiliate in the Second Form girls’ dormitory. Nelson Mandela once said: “If you talk to a man in a language he understands, that goes to his head. If you talk to him in his language, that goes to his heart.” Renee is a firm believer in this “heart” power and is passionate to pass it down to her students. Having worked as an interpreter/translator/tutor with people in various fields, from professors to politicians to pro athletes, Renee brings real-world applications to linguistic and cultural studies. She is also an active community organizer. In her spare time, she has hosted over one hundred multicultural events in the Greater Boston area and beyond. Renee considers herself a traveler, storyteller, gourmand, and accidental poet. She lives in Groton, MA and is constantly perfecting her scallion pancake recipe for advisory dinners. Harold Francis, head basketball coach, assistant athletic director, and teacher, joined Groton in 2013, after teaching and serving as an assistant coach at Buckingham Brown and Nichols in Cambridge, MA for six years, where he became familiar with the level of play within the ISL. Before that, Coach Francis spent three years as head coach at Boston Collegiate Charter School in Dorchester, MA, where he led the school to three consecutive playoff appearances and was named Massachusetts Charter School Athletic Organization Basketball Coach of the Year. Originally from Queens, New York, Coach Francis played football and basketball at the Taft School, then went on to play football at Hobart College. He has worked at numerous basketball camps throughout the country, including the Coach K Duke Basketball Camp and Hoop Mountain. He earned a master's in sports leadership from Northeastern University. Besides being assistant athletic director and coaching basketball, he also coaches football, teaches a section of Sacred Texts, and lives on campus with his wife, Sarah, and dog, Brooklyn. 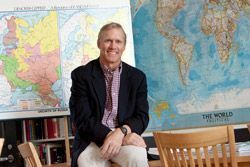 Tommy Lamont earned his BA in history from Harvard University in 1983 and his M.Phil. in history from the University of Oxford in 1991. He teaches American history and world history at Groton, as well as electives on modern China, modern India, and international relations. Tommy also has taught courses on the Holocaust, modern Russia, and modern Japan, and has traveled extensively around the globe, including trips with students to Japan, India, China, and Haiti. He holds the Lawrence Family Chair in History and World Affairs. Tommy has coached football, crew, basketball, soccer, ice hockey, squash, and baseball; he ran a Third Form boys’ dormitory at Groton for ten years. All three of his children are Groton students or graduates. Tommy enjoys foreign films, sailing, and playing the blues, country, and classic rock. John Lyons arrived at Groton in 1995 and was chair of the History Department from 2006 to 2012. Following his undergraduate years at Middlebury College, John pursued an MA at Georgetown University. He completed two years as a history instructor at Northfield Mt. Hermon before spending the next ten years at St. Andrew’s School in Middletown, DE, chairing the history department during his last five years there. After assuming many roles at St. Andrew’s, including head varsity football coach, varsity baseball assistant, dorm head, and residential dean, John and his family headed to Groton. 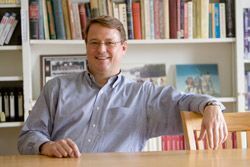 In 1996, he was awarded Groton's John Hay Whitney Chair in History and Public Affairs, and in June 2000, Lyons received the Henry and Wendy Breck Award for Teaching Excellence and in 2012 received the Jonathan Choate '60 Faculty Award for excellence in teaching and coaching. His professional development activities include a year as a visiting scholar in history at Middlebury College, three William Robertson Coe Fellowships in American History at Stanford University, and summer colloquiums with the Gilder-Lehrman Institute for American History, the Liberty Fund, the Center for the American Idea, and the National Endowment for the Humanities. John holds the Charles C. Alexander Endowed Varsity Football Coach position and coaches boys JV ice hockey. At various times he has directed Groton's Teaching Intern program, moderated Groton's Model UN group, and served as a member of the Curriculum and Studies committees as well as a dorm head. His wife of 29 years, Hannah, is a clinical nurse specialist in oncology at Massachusetts General Hospital; they have two daughters, Rachel, a 2008 St. Mark's graduate, and Molly ’12. Rounding out the Lyons clan is a black Lab, George. Amanda Reichenbach is the 2018–19 Charles C. Alexander intern in the History Department. Outside the classroom, she is assistant coach of the volleyball team, the faculty advisor for Model UN/Model Congress, and a Second Form dorm affiliate. Prior to arriving at Groton, Amanda attended Phillips Academy, Andover. In May 2018, she received a BA in history with distinction from Yale University. In college, she held several leadership positions in the Yale Political Union, played club volleyball, and was an academic tutor. Amanda is originally from Wilmette, Illinois and enjoys biking, crossword puzzles, and audiobooks. Eric Spierer teaches world history and United States history. He graduated with distinction from the Columbia University - London School of Economics dual MA/MSc program in international and world history, and he was the joint recipient of the Richard Hofstadter Prize for Best Dissertation. Eric earned his bachelor's degree at Wesleyan University, where he was a history major and a varsity rower. Prior to graduate school, Eric was a paralegal at Cravath, Swaine & Moore in New York City and taught history at The Derryfield School, his alma mater, in Manchester, New Hampshire. At Groton, Eric coaches basketball and rowing, is the director of Jewish Student Life, and runs a dorm with his wife, Jessica. Ryan Spring joined the Groton faculty in 2013. His experience in independent boarding schools began as a student at Phillips Academy, Andover. After Andover, he completed his undergraduate studies at Bates College, earning a BA in American Cultural Studies and Russian History. Ryan later earned an MA in history at the George Washington University. Since arriving on the Circle, Ryan has taught U.S. History, World and the West, and a series of electives on 20th-century Russia. He has also led a Third Form girls’ dormitory and coached girls’ varsity soccer and thirds basketball. The girls’ soccer team won the NEPSAC Class B championship in 2014 and reached the semifinals in 2013 and 2015. In 2014. Ryan was awarded the Jonathan Choate Award for Excellence in Teaching and Coaching. Before working at Groton, Ryan spent fifteen years teaching, coaching, and advising at Blair Academy, in Blairstown, NJ. He lives on campus with his wife, Stacey, a doctoral student in political science at Boston University and also a member of Groton’s History Department, and their two children, Owen and Eleanor (Elly).